Over the years, the team has built up experience of what it takes to ensure a ground investigation can run smoothly, meaning on time and to budget delivery. This blog explores some of the common issues that the team has faced, in delivering high quality ground investigation services. In the site investigation industry the biggest risk to the safety of operatives is arguably that of striking buried services. We help clients ensure they can achieve the objectives for ground conditions in a safe way. Putting new hard surfacing around a tree can be a stumbling block when it comes to a planning application, but with the correct approach, it needn’t trip you up. We would like to wish all our clients and colleagues a very Merry Christmas and a very Happy New Year. We hope you all enjoy the festive period and we look forward to working with you in 2018. Ecology is perhaps one of the few technical surveys that has the potential to cause significant delays, costs and complications to a project. To help navigate through this complex technical field, we have established an in depth Continued Professional Development (CPD) that considers ecology. In the last year we have delivered over 80 Continued Professional Development (CPD) seminars covering ecology, arboriculture and contaminated land. Due to their success we are pleased to announce the wider rollout of the CPDs across the East of England and London. Delivering significant added value through multidisciplinary environmental surveys for multiple sites across a London Borough. 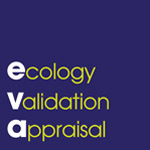 If you aren’t sure whether a PEA is required, agb Environmental have released EVA (Ecological Validation Appraisal), a unique service aimed at providing you with a clear steer on whether the Local Planning Authority will be seeking a PEA. Ground investigation techniques vary depending on the objectives of the investigation, the strata, and logistical factors such as access. To assist with understanding what factors contribute to the decision on which technique to use, we have prepared a briefing note on the use of trial pits. agb Environmental was commissioned to provide specialist arboricultural support to a residential extension project in London. Ground investigation techniques vary depending on the objectives of the investigation, the strata, and logistical factors such as access. To assist with understanding what factors contribute to the decision on which technique to use, we have prepared a briefing note on the use of dynamic sampling techniques. Enabling the development of a new school by providing a Site Investigation and Flood Risk Assessment. Are you interested in getting paid experience within ecology? agb Environmental are seeking two or three seasonal ecologists to assist with surveys between May and September 2017.
agb Environmental was instructed to undertake Preliminary Ecological Appraisals (PEA) on eleven separate farm sites that were identified for divestment and redevelopment potential. Ground investigation techniques vary depending on the objectives of the investigation, the strata, and logistical factors such as access. agb Environmental is an environmental consultancy specialising in multi-service, multi-site development projects. We provide comprehensive environmental site assessment and coordinated constraints management. agb Environmental has the specialist teams to help survey for and mitigate the impacts of any developments to near water vole habitat. Should you have any projects where water voles may be a constraint, or where you may require any further ecology or protected species surveys, please get in touch. The team at agb Environmental wishes you a Merry Christmas and Happy New Year! Just a reminder the Newmarket and London offices will have limited staffing between Thursday 22nd December 2016 and Tuesday 3rd January 2017.
agb Environmental ecologists have prepared two important calendars you may wish to refer to if you’re planning to develop a site with potential for protected species. We have developed an hour long CPD seminar to offer some insight into the process of engaging, managing and understanding ecology surveys. The contaminated land assessment process enables the developer to demonstrate that the site is safe and suitable for the proposed use. This is achieved through the planning system, at application stage, and through relevant planning conditions. With Bonfire Night fast approaching, agb Environmental have put together these top tips to help you avoid harming animals. Planning a Ground Investigation? Some tips for a smooth ride! Having managed hundreds of ground investigations on a very wide range of different site types, we have compiled our list of the most common challenges to achieving a smooth ride. At agb Environmental we believe in challenging the status quo to ensure our clients receive the best possible service. One example of this is our approach of providing lump sum fee proposals for ground investigations. Winter hibernation? Not for our ecologists! Don’t stumble over tree roots! Planning permission has at last been granted on a site where trees have provided a stumbling block for at least two years, following the use of radar by agb Environmental’s specialist arboricultural team. With two licensed white-clawed crayfish ecologists on the team, agb Environmental provides some detail on why and when crayfish surveys should be undertaken. agb Environmental has significant experience of assessing and remediation get the risks posed by ground gasses. To understand more about ground gasses, get in touch with our team. Following positive feedback from the most recent round of CPD seminars, agb Environmental is pleased to announce the wider rollout of the Environmental Surveys Continued Professional Development (CPD) seminar for architectural firms. It’s very rare that a ground investigation on a potential development site doesn’t identify at least some depth of ‘Made Ground’ overlying natural geological deposits, but what is Made Ground, and how does it affect a development? With the assessment of potential land contamination being a key part of the planning processes, it is important to consider how best to approach this element of your project. agb Environmental provided ecological advice to the Natural Trust in their award winning Wimpole Hall Gothic Tower restoration project. Following positive feedback from several clients on our Ground Investigation CPD, agb Environmental are now offering an hour long seminar on Ground Investigations. Do you need a topographic survey for a Arboricultural Impact Assessment? Accurate plotting of trees is an essential part of any development survey. By making sure your topographic survey covers trees suitably, you won’t also need to pay for your Arboriculturist to plot them as well. We are regularly asked for a “soil test”, but are all soil tests created equal? The agb Environmental Geo Team has grown significantly over the past few years, both in numbers, but also in the range of services we offer. We have achieved this through targeted hiring, formal training and project experience. When it comes to risks of building on brownfield, the risk from potential contaminated land perhaps tops the list. On the 7th December 2015, Defra published a draft code of practice which sets out how the government will use species control provisions in England. When building near trees, you need to consider both how your building may damage roots, and how roots may damage your building. You can’t usually see where they are until you start digging, so how can you plan your development to take roots in to account? What Does a Flood Risk Assessment Include? In accordance with the National Planning Policy Framework (NPPF), a site-specific Flood Risk Assessment (FRA) should be both proportionate to the degree of flood risk, and appropriate to the scale, nature and location of the proposed development. Find out the top three reasons why combining technical services with one consultancy can benefit your development.